I know, another Seamstress of Bloomsbury dress. But they're so good! 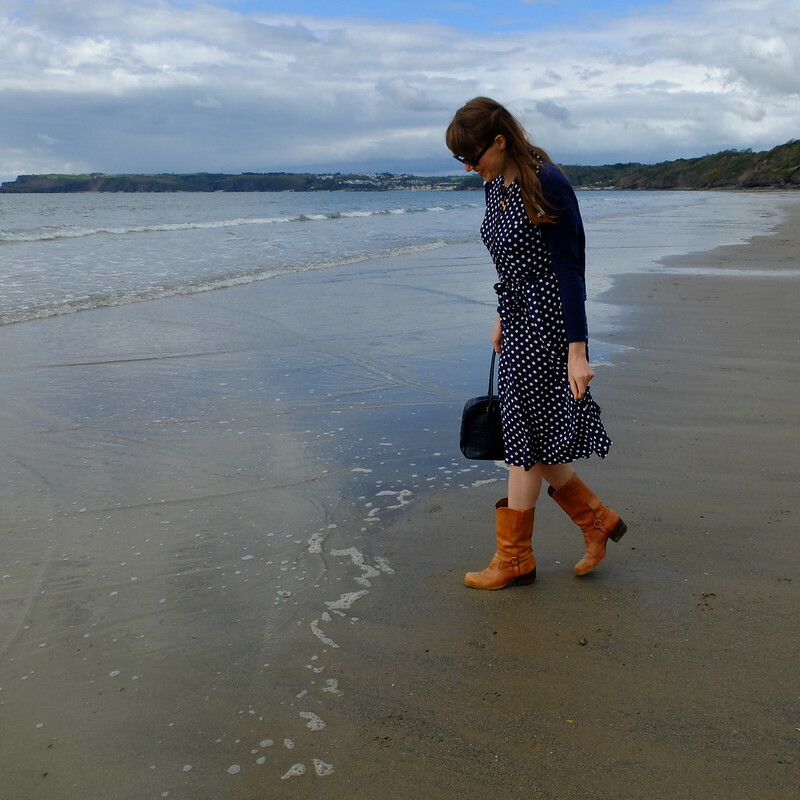 It was quite bracing by the sea in Amroth, Pembrokeshire. 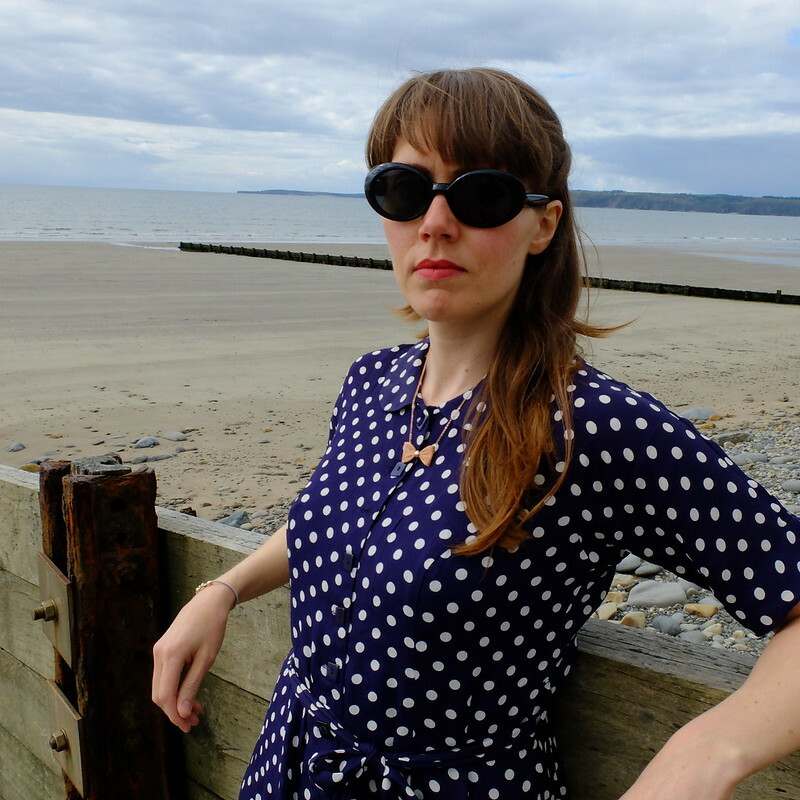 The somewhat wild Welsh coast made me think of the Dylan Thomas film, The Edge of Love. Sienna Miller and Keira Knightley spend the film in tea dresses paired with wellies and knee-high socks, and big chunky knits over the top. In retrospect, a big chunky knit wouldn't have gone amiss - it was freezing in that wind! I'm always an optimistic packer for holidays. When will I learn?! There are so many good things about this dress. 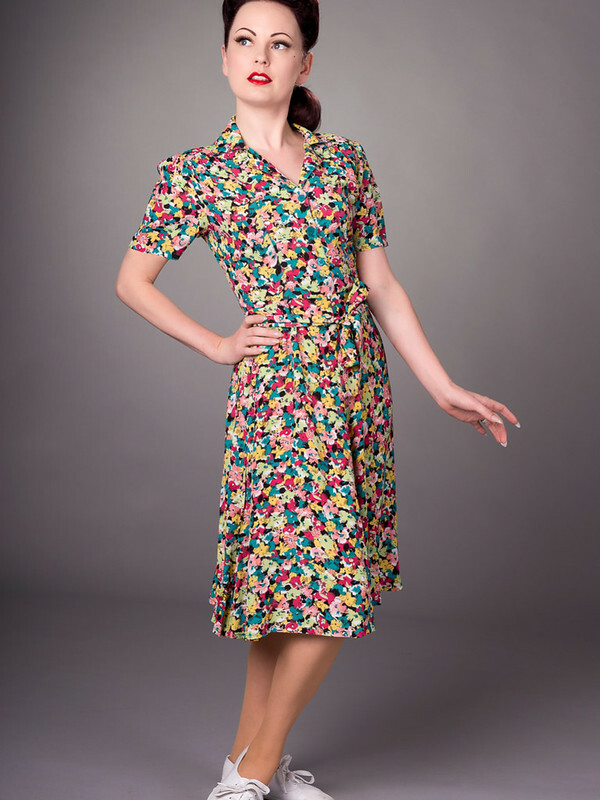 The fabric, a rayon crepe de chine, feels like vintage and has a lovely weight to it that swings when you walk and hugs your curves. 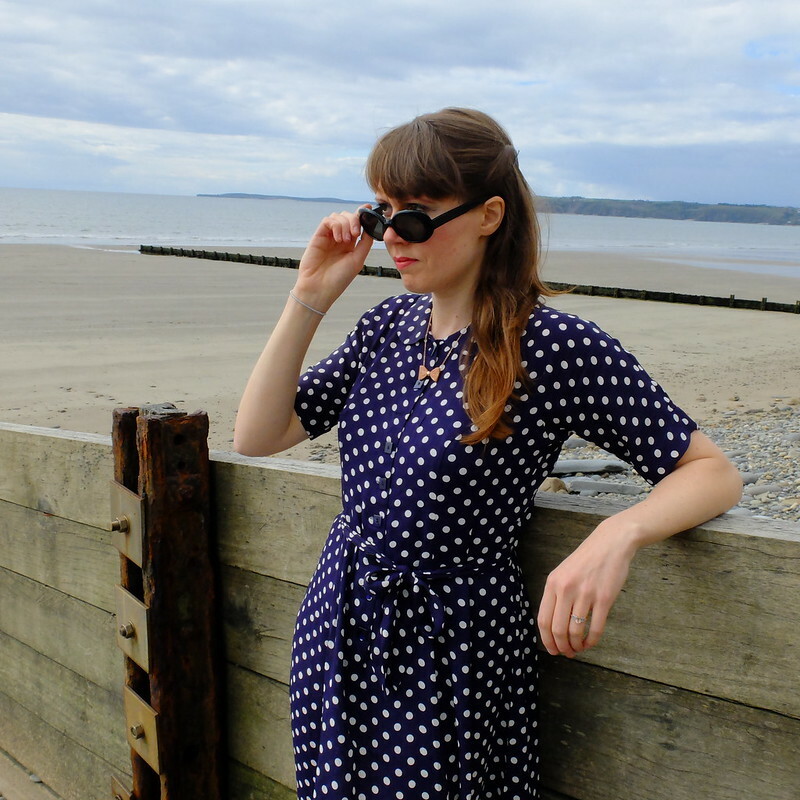 There's a little bow detail at the back, and I love the square buttons and the generous fit at the waist which means you can look good and still eat lunch, dig for victory, dance or cycle in this dress. I am normally a size 12 and the dress is true to size, fitting beautifully. 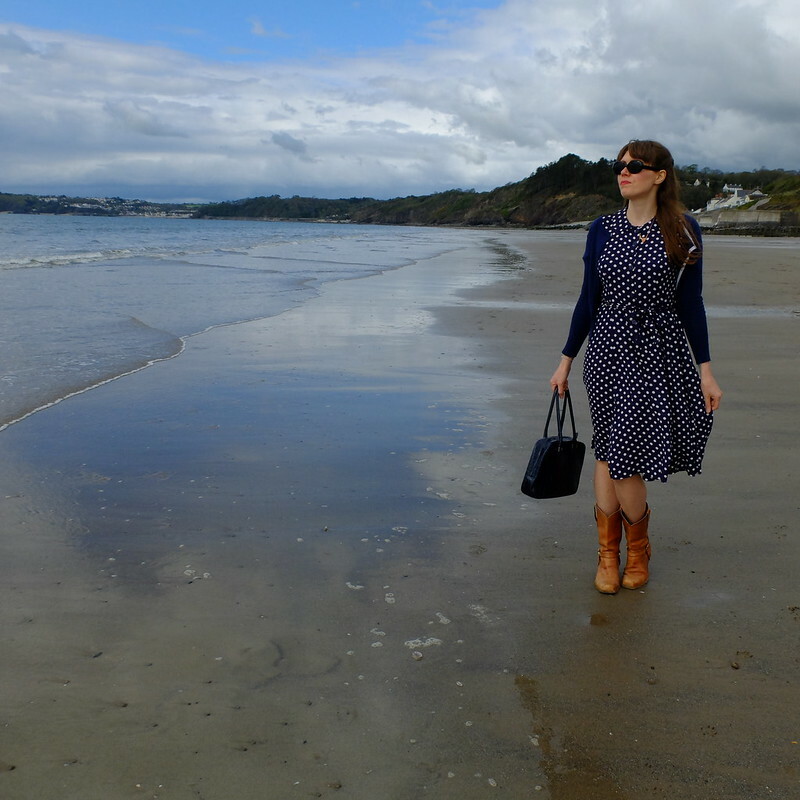 I'm a firm believer that it's the way a dress makes you feel, not just how you look in it, that makes you want to wear something again and again - and I can see this dress being a wardrobe staple of mine over the coming years because it feels so fabulous to wear. I was fortunate enough to be able to purchase the dress with a discount, but the quality you get for the full retail price of £79 really is excellent. I hope that they're able to expand the size range in the near future so that more people can experience their clothes. The Seamstress of Bloomsbury have recently added a few new lines to their collection, and there are some really gorgeous pieces. These two are my favourites, the 'Florrie' dress and the 'Lucy' dress. 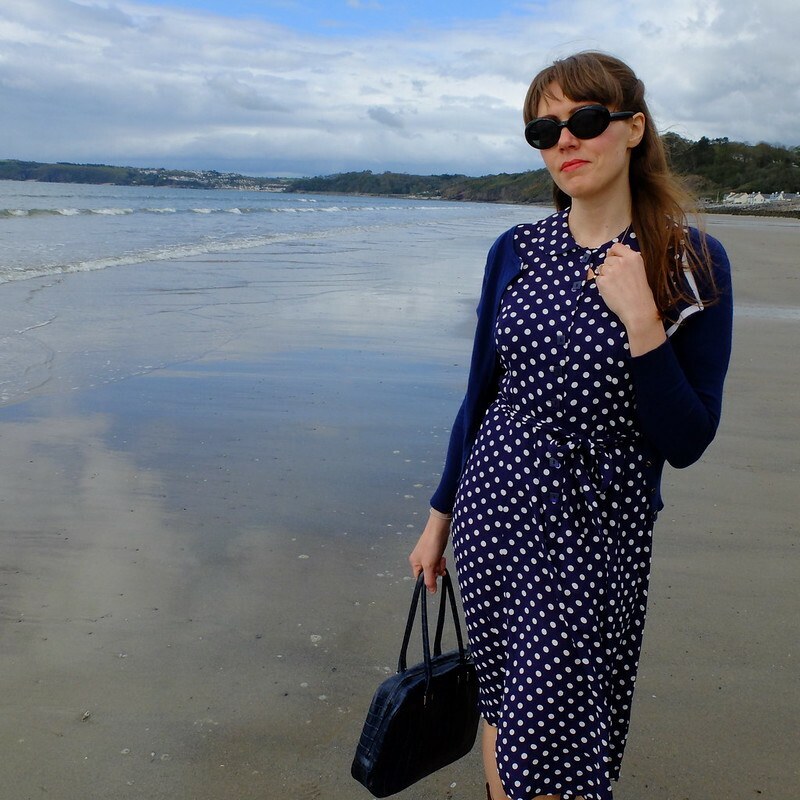 I really love this dress, polka dots has got to be one of my favourite prints and the necklace is amazing!!! I really want one of there dresses I just love the material, it looks and feels so genuine! I have had my eyes on one of there tops for a while but my budget can't stretch right now. The dress is beautiful, love polka dots! Love this dress, such a classic and super cute on you!! Great pics too. Really (underline that dozens of times) lovely dress! I adore it's classic shape, palette and design. 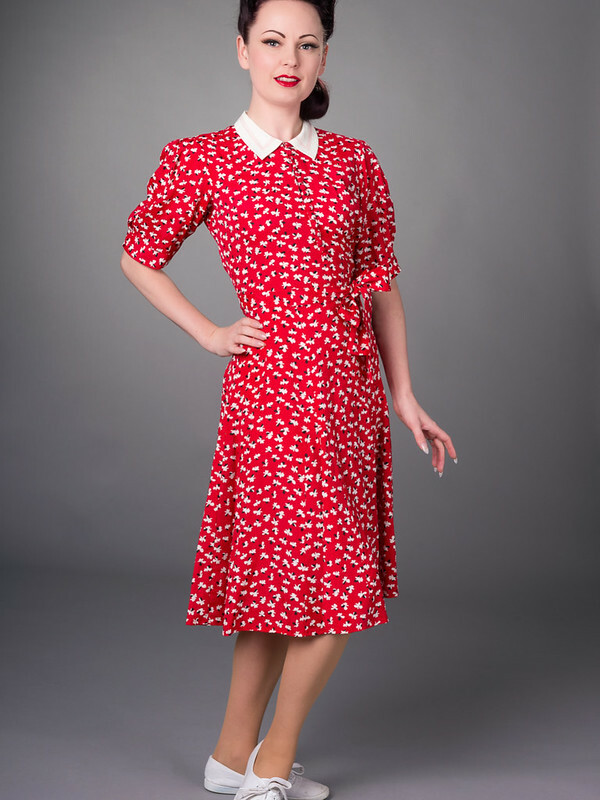 In a sea of often very bold repro/rockabilly/pinup girl style frocks, it's genuinely nice sometimes to see a more understated, but no less gorgeous example like this. What a lovely dress I'm not surprised you couldn't resist it. Oh and you'd never guess it was that cold! Polka dots forever. 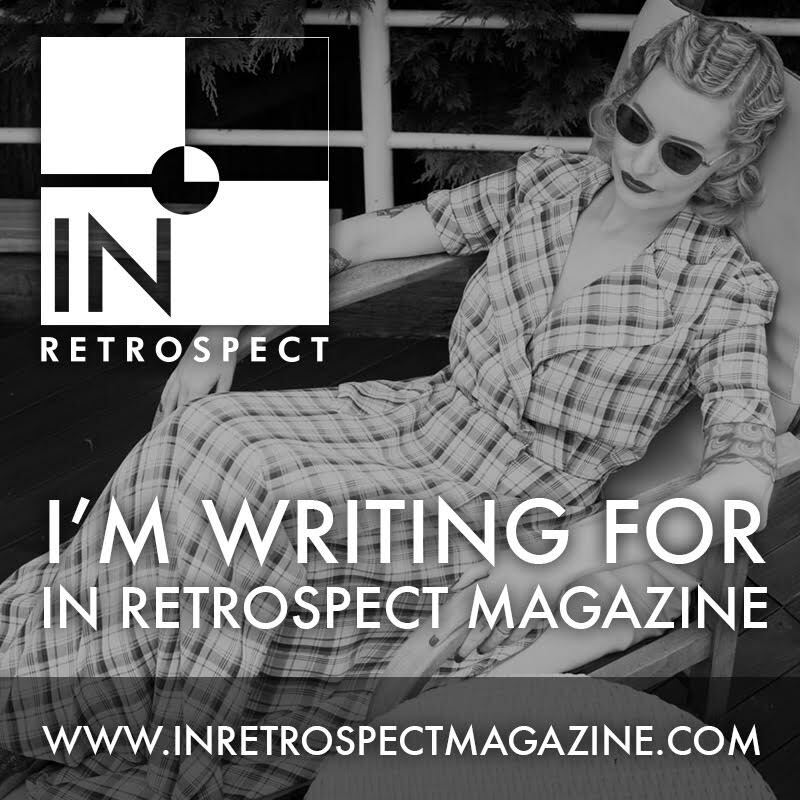 You look like such a 40s babe! Love this outfit. 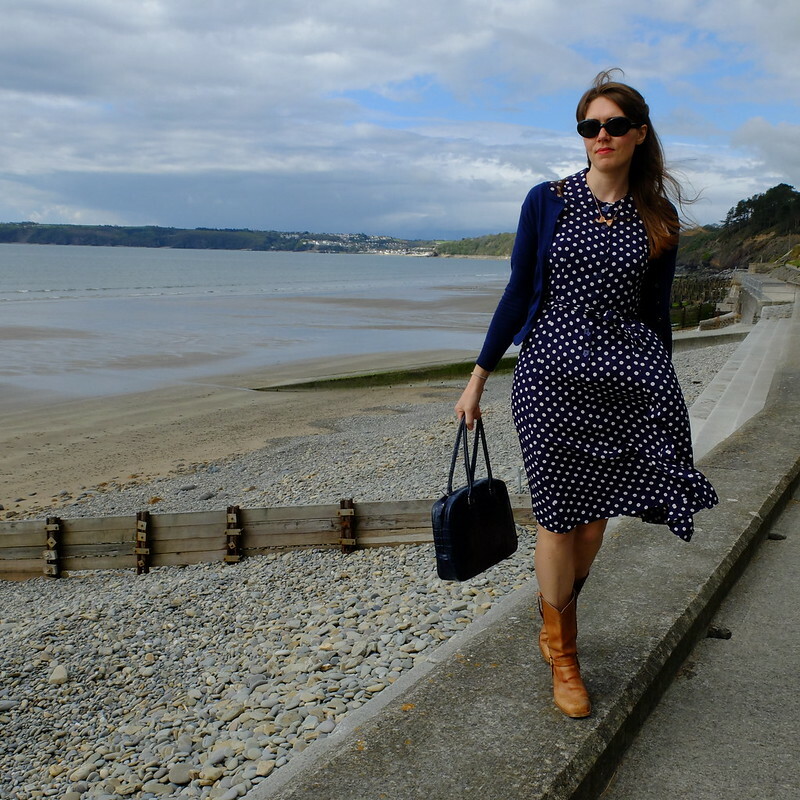 Love the retro dotted shirt-dress and all the ladylike bows, here and thopse boots make this slightly edgy. 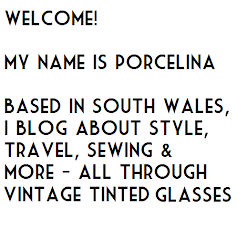 Well done, Porcelina! 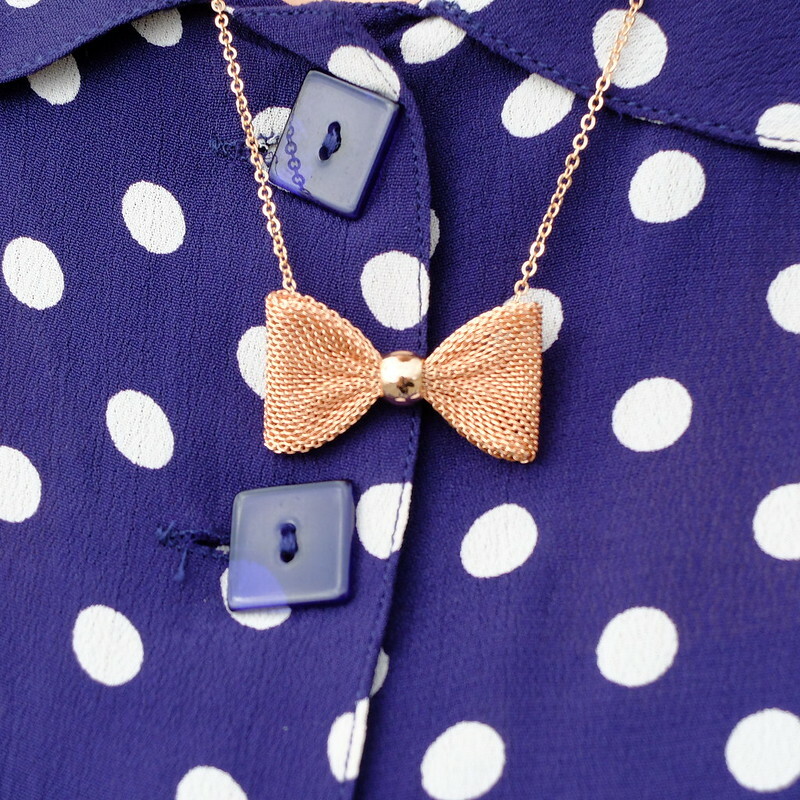 I love the bow detail on your dress and that bow necklace is super cute! Thanks for linking up with Thursday Fashion Files! I love this dress and loving the unexpected pairing of the boots. Such a gorgeous dress! 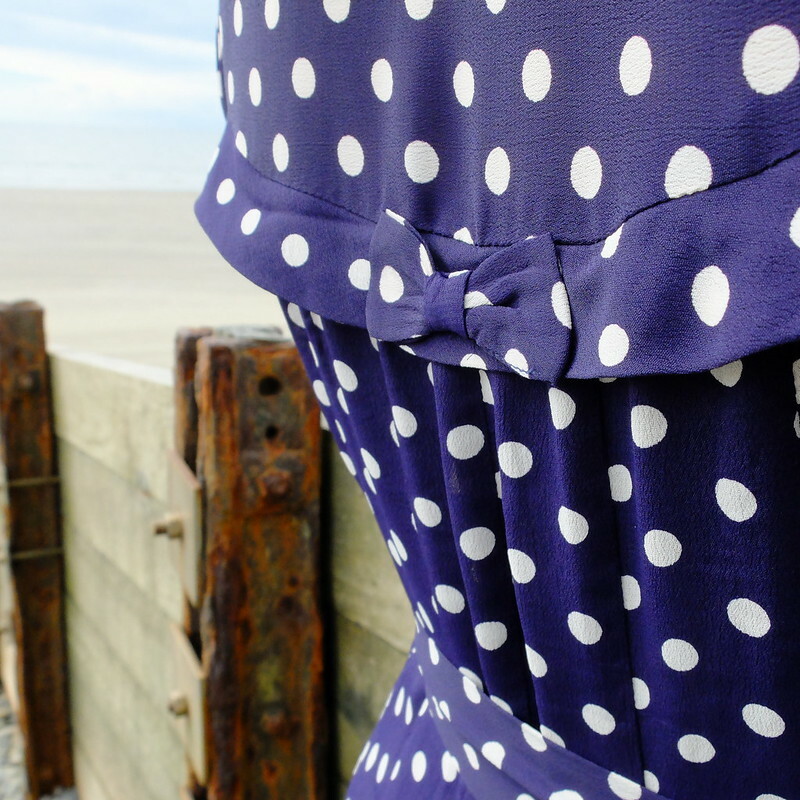 I love the classic blue with white polka dot prints, that it's rayon crepe de chine, and all the details! 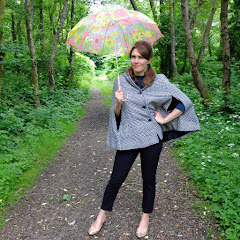 I love the way you styled it here too! Perfection! Such a pretty dress! I love the polka dots!